Designed to satisfy the inspection requirements of several UK regulations (PUWER, LOLER and WAHR) and can be tailored for clients to meet their specific requirements. Knowledge and experience for competence in inspection of PPE as required by PUWER, LOLER or WAHR. 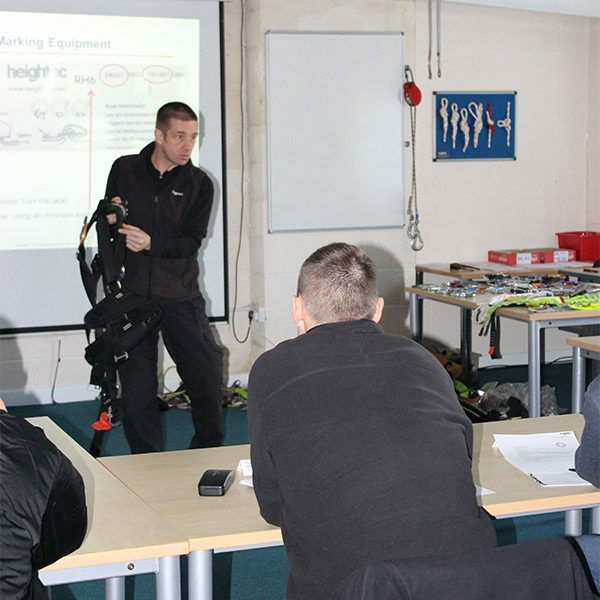 Provides skills for inspecting PPE for work at height. After the course the candidates will be able to carry out thorough examinations of equipment and keep traceable records of this. The Inspection of PPE – Competent Person course explains the similarities and differences between the regulations listed above and provides detailed information on criteria for inspecting individual equipment, record keeping, marking and traceability. Practical experience on this Inspection of PPE – Competent Person course is provided in inspecting and assessing the condition of PPE for work at height. On completion of the Inspection of PPE course, candidates will be competent to carry out thorough examinations of equipment and keep traceable records of this under LOLER and WaH regulations.